In July I wrote about inclusivity in the workplace and my own condition. Thank you to everyone who took the time to read it. I was really pleased to read so many positive comments. People have come forward wanting to share their stories of their disability and how the Workplace Adjustment Passport has helped them. The first of these stories is from Lynsey Murray and her line manager Heather Buss, who work for Civil Service Employee Policy in Cabinet Office. In the coming weeks I hope to share more stories on the passport and how it has helped individuals. I was inspired to share my story of my disability and using the Workplace Adjustment Passport after reading Rupert McNeil's story. I have only recently declared my disability, even though I probably should have done it a long time ago. I have had arthritis since I was a child. It is well managed through medication and lifestyle changes, which meant I never really considered it a disability. It’s only a few months since I started to do so. Two years ago I started to suffer from hearing loss. I thought it was a temporary condition, so I never thought about asking for an adjustment, even though it was having an effect on everything I did. In April this year I was given hearing aids and it was the first time I really thought about my condition being permanent. For the last two years I just ‘got by’, even though my hearing loss had a significant impact on my interactions with colleagues. I struggle to hear anyone who is more than a few feet away, or someone who isn’t facing me and have to lip-read to fill in some of the gaps. When I got my hearing aids, I realised how much conversation I had been missing. While it was great to hear more, I have difficulty because everything is a lot louder now. It can be hard to concentrate on the phone when you are trying to block out background noise, and some people can speak quietly. This was when I decided to complete a Workplace Adjustment Passport. I knew I wanted an adjustment but I didn’t know where to start. There are lots of great tools out there to support people with hearing loss, but at the time I had no idea they existed or whether I even needed them. The passport helped me to identify how my hearing loss affects me at work, what I needed and how to get it. As well as recognising the other conditions I have and their impact on work, my arthritis means I suffer with joint pain and get tired easily. I work four days a week so that I can have a break mid-week and this helps me to manage my condition. By completing the form you can ask yourself questions and use it to have a conversation with your line manager. This was the start of the workplace adjustment process for me, but I think it is a useful tool whether you already have adjustments in place or if you think you might need one. After completing the form and speaking to my line manager, we decided I needed an Occupational Health Assessment to enable me to speak to someone with expertise in hearing loss. I have recently had my assessment and they have given me some great tips as well as recommending some specialist equipment. The important thing I have learned about this process that I wanted to share was that you don’t have to struggle or wait as long as I did to get the help you need. There is lots of support out there. The first step is recognising you may need help. By sharing my experiences with a few colleagues, they have already started to think about their own adjustments and whether there is anything that can support them. I have provided a copy of my passport to give you an idea of how it can be used. I'd heard of the Workplace Adjustment Passport but hadn't seen a completed form. 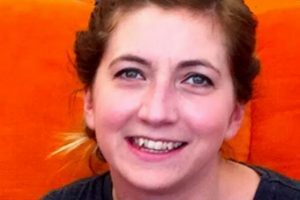 However, using the passport prompted Lynsey and I to have a conversation and talk openly about the existing adjustments for arthritis, her hearing condition and the impact these conditions had on her work. Jointly, we agreed that an Occupational Health Assessment would be a useful first step to get some expert advice on equipment and recommendations for any changes that I and team colleagues could make to support Lynsey. Together, from this advice, we've learned a lot about what specialist aids are available and these are now being put in place. We've also considered some simple suggestions for changes in our everyday ways of working, around handling meetings, telekits and general conversations in the office. Lynsey is more confident about alerting colleagues to her hearing loss so that she can participate fully in discussions. The passport continues to be useful in being a visible reminder to have regular chats to review the adjustments and check if they're working. 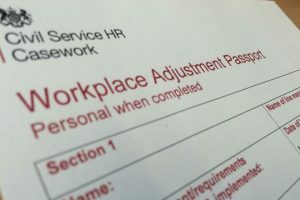 The Workplace Adjustment Passport is available on departmental intranet sites and from Civil Service Learning here. The Civil Service Workplace Adjustment Team also offers a ‘review’ service for employees or line managers finding it difficult to secure workplace adjustments. This service is available to everyone, regardless of whether their department has signed up to the case-management side of the Workplace Adjustments Service. The review may involve an intervention by the Workplace Adjustments Team, who can, alternatively, simply provide specialist advice. 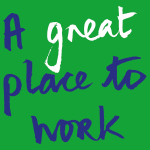 You can contact the Civil Service Workplace Adjustment Team on 0114 294 8902 or at cswat.reviewroute@dwp.gsi.gov.uk. Thank you Lynsey and Heather for sharing this story and for demonstrating that through having an open conversation, the Workplace Adjustment system works and can be beneficial for ALL concerned. Thank you for the great feedback, I am glad to share my story in the hope it helps other people in a similar position. Thank you for sharing your experiences, my tennage daughter has childhood arthritis and I have shared your story which has given her hope that given the right supports she too will be able to fulfil her career goals. It is great to hear of the Passport working like this. Thank you for your comments. I hope your daughter is well. 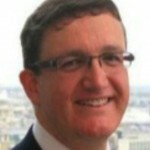 I can honestly say that having arthritis has not been a barrier in my career development. It is mainly medication, making lifestyle changes that have helped me to manage my condition. Flexible-working is also great for fluctuating conditions like mine. This is a really positive story to raise awareness of a great system that is there to provide invaluable to help to all who need it, well done. Thank you for your comments, I really appreciate it. I note that the reasonable adjustments have not been put in place and would hope that Lynsey has been taken off the phones until ALL adjustments are in place. I applaud the fact that something is being done but until the adjustments are in place it will only exacerbate the jobholder's condition and could lead to a worsening of the condition in years to come. It took a while, but I do have all of my adjustments now thanks. I agree that sometimes, temporary arrangements need to be made for the interim period because it can sometimes take time to get everything in place. I did get the support I needed. Its great that you got the support you were looking for but did the business really do all it could to support you. Bluetooth technology is available to everyone and so are Bluetooth hearing aids, they work via a mobile telephone app so you wouldn't need all that clumsy additional kit. Patch the Bluetooth signal to your mobile and via the satelite network it knows where you are and can adjust the volume accordingly, No more Loud television etc. My question to you as a hearing loss sufferer is did the business really do all it could to help you or just give you a cheap solotion using old antiquated technology. Wishing you every success as you move forward with your life. Thank you for your comments. I have not heard about the bluetooth technology, but it sounds really good. I have been given a roger pen that works wirelessly with my hearing aids but would be keen to find out about something that could work with a mobile phone. My hearing aids adjust depending on my environment (which can be a little distracting!) but there is still lots that I miss. The main issue for me was that I didn't know what was out there, with technology I think things will improve considerably over the next few years. I think the business has done as much as they can at the moment, the difficulty is not know what's available or if something new is developed. Also like many people, I kept putting things off when all I needed to do was fill in a form that took a few minutes. I am slightly hearing impaired (largely though age - close to 60). The only reasonable adjustment I needed was for my colleagues to stop "joining in" in every telephone call that I made or received. A lot of this was unnecessary mcro-management ; as a junior manager with 32 years' civil service experience I don't need every phone call to be supervised. Put simply, if someone "joins in" a phone conversation, he/she drowns out what the person on the other end of the phone is saying. Try working in an environment like that. I actually spent £12 of my own money on a doctor's letter to prove I wasn't faking, as I doubted management's willingness to take me seriously. But after doing this, rather than tell the offenders to desist from chipping into my conversastions, managment threatened me with referral to occupational health - a classic case of taking a sledgehammer to crack a nut. I can certainly sympathise with people joining in conversations, even just background noise can be distracting. It can be difficult to have that conversation to tell them to be quiet or give others a chance to talk, even if they have the best intentions and are trying to help. My OH specialist suggested running an awareness course to help colleagues to understand. I have been on them in the past for other conditions and it did make me realise what I could do to help my colleagues. I hope you have everything in place that you need now. A referral to occupational health is not a threat. It is helpful. As a union rep, I always advise my members to obtain occupational health advice if offered - it is often only by seeing the problem confirmed by occ health that management will listen and act on your concerns. It shouldn't have to be this way, management should listen to and trust you - but occ health are only there to make sure work is adequately informed - they are not the enemy. I agree, Occupational Health can help but are not necessarily the only source of advice available. In my situation, it was helpful and they were able to suggest some equipment I was not aware of. They can provide access to more specialist information too. Firstly Lynsey thank-you for sharing your story as I had never heard of the Workplace Adjustment Passport, I will inform some of my team members as they also suffer quite badly with arthritis in their hands as this could help them with various adjustments that they might need. I hope that things become more easy for you at your office once you receive the specialist aids that you require and that you now feel supported. Thanks for this informative piece, Lynsey, very glad to hear that you have been given what you need to do your job. I too have arthritis and hearing loss and have had to buy a volume adjustable conference phone to use when working from home as I struggled so badly to hear conference calls and quietly spoken individuals. In fact, I spent a small fortune buying several phones to find the right one. In DfE we have all recently been supplied with shiny new laptops, which are wonderful state of the art machines, but with my weak arthritic hands and sore eyes, I struggle to manage. An example of the 'one size fits all' solution not working for everyone, even when it is done with the best intentions - and the best kit. Fortunately, working from home means I have been able to buy the cables to plug it all into my own desktop PC, so I can see the screen and type properly. Being given the flexibility to work from home is the best workplace adjustment I have ever had - it has made a big difference to my health. Hopefully more people with disabilities and caring responsibilities will be given that option in future, as the CS's digital capability improves. Thank you for your comments, really interested in the different conference phone you have. I have the same difficulty with hearing softly spoken colleagues. It is an expensive business when you start looking at adaptations for your home life too. I am glad you have been able to find a balance which helps you to manage your condition. I think the more we talk about disability the more we can influence change and raise awareness of the key issues affecting our employees. Thank you for your feedback. I know arthritis can affect people in many ways, I didn't really benefit from special aids such as chubby pens, assistive-technology or a different mouse but I know they have helped others. For me, the fatigue is a big symptom, and if I can I avoid writing because it is hard for me to write for a period of time. With technical advances, there are more tools available too, such as voice recognition software and voice recorders which means you don't have to write up lots of notes or type out emails. I hope your colleagues get the help they need, things are definitely getting easier for me. Thanks.